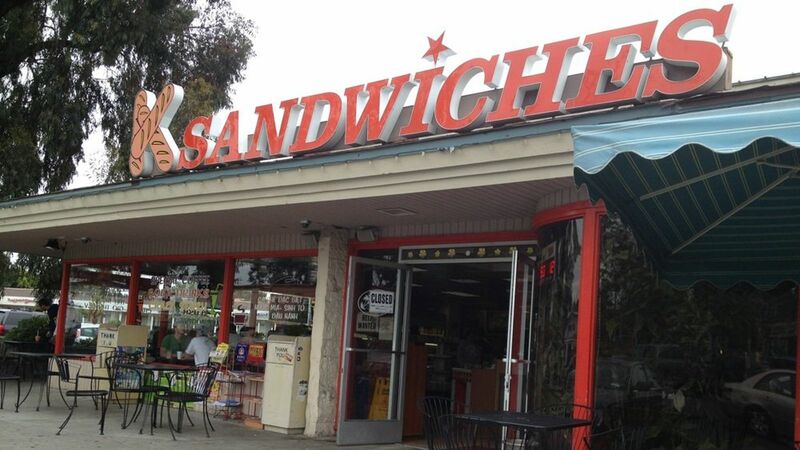 In some very unappetizing news, a fire broke out at K Sandwiches in San Diego, California. Many San Diegans, myself included, consider K Sandwiches to be the home of best banh mi in town. Needless to say I was shocked to see my favorite sandwich shop burning down on the late night news, then it got worse, I heard the reporter mention that according to the fire department, drones were interfering with firefighting operations. How many times does this have to happen before careless drone pilots simply stop? If the pace keeps up, I wouldn’t be surprised to see strong anti-drone sentiment and legal restrictions in the near future. The fire at K Sandwiches near Mesa College Drive broke out shortly before 9 p.m., said Capt. Joe Amador of the San Diego Fire-Rescue Department. When firefighters arrived, dense black smoke was coming from the restaurant, Amador said. Crews made quick entry but had difficulty finding the source of the fire, and were pulled out for safety reasons to fight the blaze defensively from the outside, Amador said. The department said on Twitter that drones were interfering with firefighting operations and asked that they not be flown in the area. Crews were working Tuesday night to extinguish a fire at K Sandwiches in Clairemont Mesa. The fire was reported at 8:57 p.m. at the shop in the 7600 block of Linda Vista Road. The good news here is that even though this was a horrible loss, the K Sandwiches family have promised to rebuild. There is even a GoFundMe campaign to help the rebuild process, though, I’m not 100% confident it’s legit. It doesn’t appear to be under the family’s name and was started by “a loyal customer and neighbor of theirs” who will “be putting this fund into the owners name once I confirm what name they want the account under.” While I’d love to help, I’m not contributing to any fund that looks questionable. I want my donations to reach K Sandwiches. As a drone operator, I believe we need to accept responsibility for our rotorcraft and police each other, before thing get bad for the industry. What we don’t want is new anti-drone legislation stifling the growth of a transformative industry. If you haven’t yet, I recommend checking out Know Before You Fly, it’s a great website with lots of useful information. If you want to take your hobby to the next level and become a commercial drone operator, then enroll in drone college (I’m partial to Drone Universities, but take the class anywhere, just get trained!). UPDATE: The San Diego Union Tribune is reporting that there was $1,500,000 of damage. The Vietnamese sandwich, sometimes called a “bánh mì sandwich”, is a product of French colonialism in Indochina, combining ingredients from the French (baguettes, pâté, and mayonnaise) with native Vietnamese ingredients, such as cilantro, cucumber, jalapeño, and pickled carrots and daikon. 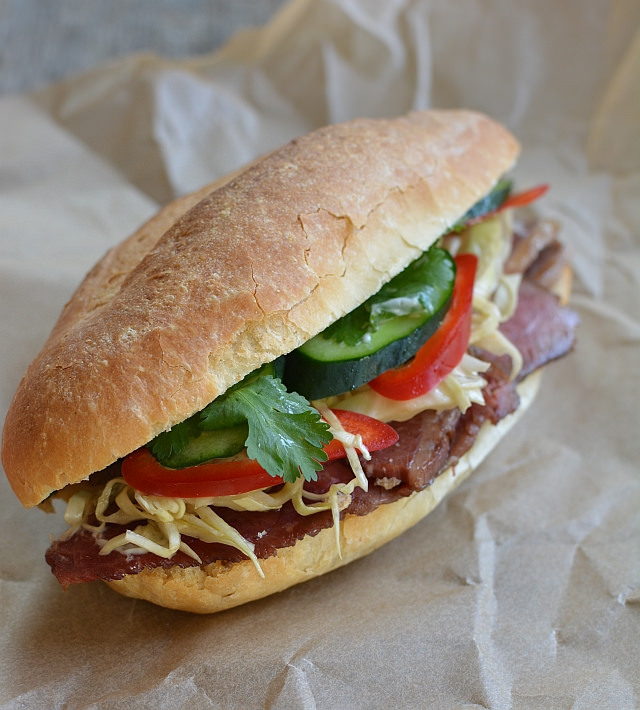 The classic version, bánh mì thịt nguội, sometimes known as bánh mì đặc biệt or “special combo”, is made with various Vietnamese cold cuts, such as sliced pork or pork bellies, chả lụa (pork sausage), and head cheese, along with the liver pâté and vegetables like carrot or cucumbers. Some restaurants also offer bánh mì chay, a vegetarian option, made with tofu or seitan. In Vietnam, vegetarian sandwiches are rarely found on the streets. They are usually made at Buddhist temples during special religious events. Another option is the breakfast bánh mì, with scrambled eggs served in a baguette. The version eaten more widely for breakfast in Vietnam is eggs fried sunny-side-up with onions, sprinkled with soy sauce or Maggi sauce, served on a fresh (and sometimes buttered) baguette. An ice cream sandwich called bánh mì kẹp kem is commonly sold on the street as a snack. It consists of scoops of ice cream stuffed inside abánh mì, topped with crushed peanuts.